The problem with the “dreamer” debate is that it has little to do with children or their dreams. Most of the “dreamer children” are now adults. On average, the 800,000 recipients of the Deferred Action for Childhood Arrivals (DACA) program who entered America illegally as minors—alone, or brought by parents or relatives—are about 24-years-old today. Their dreams are also nothing unique or special. 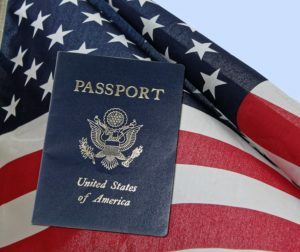 They consist of a path toward U.S. citizenship, a goal shared by millions worldwide. Put succinctly, the only difference between “dreamers” and the millions of other minors who entered America illegally over the last half-century is a bureaucratic one: At some point within the last five or so years “dreamers” filed a DACA application. This lackluster distinction notwithstanding, the DACA rescission debate has been framed in the imagination of many Americans as a highly emotional narrative. It evokes images of Elian Gonzalez-like children being torn at gunpoint from the arms of sorrowing relatives; aspiring high school and college students removed from dorms and classrooms; enterprising youngsters removed from jobs where they are esteemed by their co-workers. Supposedly, they are now to be deported by heartless ICE agents to a home country they barely knew and where they now lack roots and the loving support of family and friends. While dishonest, this framing of the narrative is powerfully effective. An ocean of emotions drowns out anyone trying to focus attention on the tortured issue’s important elements. The organized crime role of “coyotes” and enablers who helped “dreamers” enter America illegally goes unaddressed. Forgotten is the fact that the parents of “dreamers” are just as likely to be undocumented, so families need not be broken up but can stay together as they return to their home country. The same goes for the unfairness, nay the injustice, in rewarding the dreamer parents’ scofflaw entry into the country, their cutting in line ahead of the millions of others who respect and obey the country’s sovereignty and immigration laws. Likewise, the anarchical behavior of President Obama himself who admitted he had no authority to implement a DACA-like executive measure granting administrative amnesty, and then did it. Anyone raising such considerations is shouted down and denounced as lacking compassion. Ironically, the compassion toward the dreamers is not extended to the citizen realists who raise legitimate concerns about the nation’s future. In this broader struggle for America’s soul, liberals see DACA as an ideal battlefield. They have occupied the higher ground by wrapping themselves in the flag of fuzzy warm compassion. They have infused the issue with emotional hype, making rational debate impossible. This passionate framing of the narrative has divided conservatives. They are torn between Christian compassion and the need to uphold the rule of law. With the media as its willing partner, liberals see this conservative division as a win-win situation to be exploited. When policy becomes clouded with emotion and political positioning, it endangers the nation. The longer a solution is delayed by emotional stewing, the more difficult the problem will be to resolve. That is why the implications of DACA extend beyond immigration. When nations allow themselves to be run by emotions and feelings, they place themselves on the fast track to destruction. When feelings can be evoked to create “rights” for every individual who calls himself the victim of injustice, then nothing is sacred. When emotions control the granting of entitlements, then no budget can endure. When feelings become the leading standard of judgment, they are easily turned against those who oppose these expressions of false compassion. There is no fury equal to that of those who attack the defenders of duty, virtue, and the rule of law. There is no greater tyranny than those whose passions are unleashed against God and reason. How the DACA debacle will be resolved is still unclear. 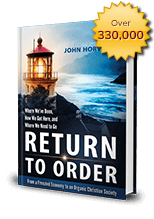 However, one thing is certain: Only a return to sound principles coupled with a practical wisdom in their implementation can provide just, quick, and compassionate solutions. 1. It is the natural right of the State to regulate immigration into its territories in the interest of the common good of its citizens. It also has the duty to protect the nation’s best interests in the realms of defense, economy, health, culture, and social harmony and cohesion. 2. While every individual has a natural right to immigrate, this is not an absolute right enforceable against an established nation. From time immemorial, an immigrant’s admission into a host country has depended and continues to depend on the approval of that nation’s government. Government consent, freely given, is what distinguishes immigration from invasion. 3. The natural moral law obliges those who immigrate to respect the laws of the country in which they settle and to obey its government. 4. Illegal immigration is subversive of a nation’s common good and order since it disobeys just laws. It anarchically upends government policies, programs, and quotas implemented to regulate and order immigration prudently. 5. While there is much truth in Bismarck’s statement that “Politics is the art of the possible, the attainable—the art of the next best,” the first natural duty of officeholders in a representative democracy is to honor their campaign promises. In so doing, they keep faith with their constituents and build much-needed social trust in their pledged word as political leaders. This is a rule of honor, but it also guarantees their political base’s continued support. 6. Just as uninterrupted adverse possession (“squatters rights”) under common law can engender property rights over time (Montana’s time limit is five years, New Jersey is thirty), so also, analogously, an illegal immigrant’s long-tolerated illegal presence—even when due to the negligence or complicity of previous administrations—can gradually engender an equitable right to his continued stay. Thus, in deportation proceedings, it is wrong to treat all illegal immigrants equally. Clearly, one who has been in the country uninterruptedly for thirty years has a different standing than one who has only been here for three. 7. An immigrant’s assimilation of the country’s heritage and culture is essential in maintaining social cohesion and harmony. 8. Saint Thomas Aquinas defends this cultural assimilation and explains that since it takes time, citizenship should not be immediate but should be delayed. 9. Federal law cannot be ignored. The enacting and changing of immigration laws are the purview of Congress. The role of the Executive and Judicial branches of government is to uphold the law. All three branches should strive to collaborate harmoniously for the nation’s common good. The immigration crisis involves situations that need to be analyzed with great care. Solving this issue entails moral and prudential judgments that are best made quietly, without a media circus. It should not be simplified and infused with emotion. Rather, it must be addressed wisely by government. With this practical wisdom, both the legitimate rights of illegal immigrants and the common good of the nation can and should be harmonized in keeping with the principles of justice and charity. Failure to respect this balance can lead the country to chaos. No one will contest that immigration policy should be just, ample, and equitable. It should be charitable and compassionate. Reasonable efforts should be employed to alleviate hardships and adapt to particular circumstances. However, the system should be fair for all by rewarding compliance and punishing subversion. It should inspire social trust through its solid grounding in legal and equitable principle and good policy. The debate over DACA is not about children and dreams. It is about a bitterly divided America. It is about grave concerns that there will soon no longer be an America about which to dream. It is the struggle between one America that wants a return to order and the rule of law, and another that dismisses sovereignty, borders, and the very concept of a nation. This entry was posted in Featured and tagged America, DACA, government, Illegal immigration, legal immigration, public opinion by John Horvat II. Bookmark the permalink.